Heather McKissick is an organizational development specialist with specific expertise in leadership development, change management and facilitation. 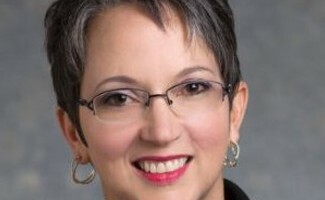 Heather is the Senior Vice President of Community Impact at University Federal Credit Union, Austin’s largest locally-owned financial institution. McKissick is responsible for UFCU’s overall organizational development which focuses on nurturing and building a strong and effective workforce that provides for the well-being of UFCU’s members. She is the former Chief Executive Officer of Leadership Austin, a non-profit organization where people of diverse backgrounds and experience come together to learn about civic leadership, engage in meaningful dialogue about important public issues, and collaborate to make a difference in Central Texas. Since 1979, thousands of individuals have graduated from the Leadership Austin Essential Class or enhanced their leadership capacities through its open enrollment programs. 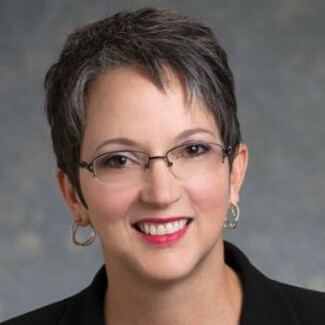 Prior to Leadership Austin, she served as Director of Organizational Development and Education for the Seton Healthcare Family, one of Austin’s largest employers. Before Seton, she was at the Lower Colorado River Authority (LCRA) as an Organizational Development Specialist and Manager of Learning and Performance. She is also a former Global Communication Specialist for Motorola Semiconductor Product Sector. Adding to her expertise in business communication and curriculum development, Heather is the former Assistant Dean of Humanities at St. Edward’s University, where she also served as a faculty member and advisor to graduate and undergraduate students. Heather believes strongly in community service and applies her experience as a mentor and volunteer to a wide array of organizations that focus on leadership development. She is a member of the Community Advisory Board for the Young Women’s Alliance, and Chairs the Advisory Council for the Austin Young Chamber of Commerce which named her “2013 Inspiring Leader of the Year.” Heather is a recipient of the Austin Business Journal 2010 “Profiles in Power” award. Her focus on community was honored by the Girl Scouts of Central Texas with their esteemed “Women of Distinction” designation in 2014 and in March of 2015 she was named as the inaugural Austin Under 40 “Mentor of the Year”.